I don't know how I came across this website, I'm so glad I did though. These heel pads are fantastic! Super quality, super comfy, super price, super quick delivery. Thank you. Thank you for my insoles they help a lot. Will be purchasing a couple of more pairs soon. 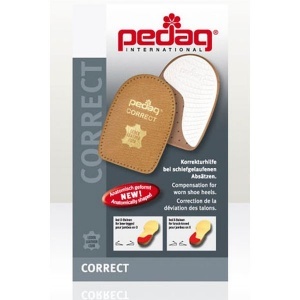 I have been using these insoles for nearly 2 years now, I have them in all my shoes and trainers. They make a slight difference which helps with self confidence and comfort.